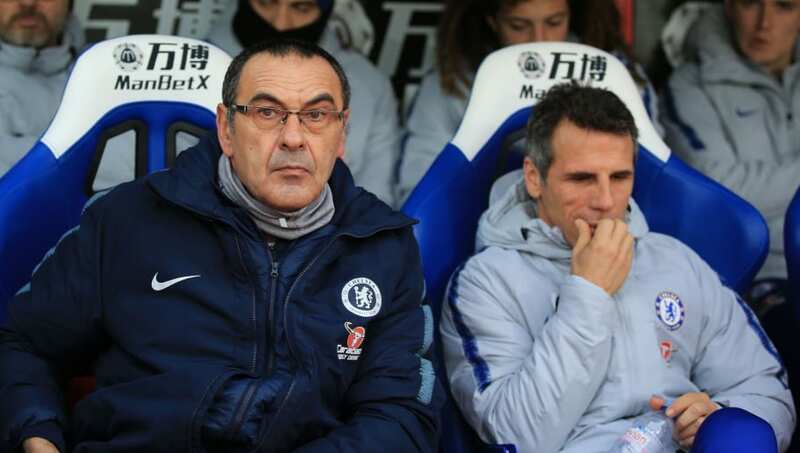 ​Chelsea could look to Maurizio Sarri's assistant Gianfranco Zola to 'steady the ship' until the end of the season, with the club considering the future of the former Napoli manager. The claim is that in the event of the 60-year-old's sacking, the club are considering Zola as a temporary option, hoping that the former West Ham and Watford boss can tide things over on the playing field before a permanent appointment in the summer. Despite starting well under Sarri, ​Chelsea's recent results have dipped, and many point the finger at the boss' overly complicated tactical approach as one of the principle causes. ​The Independent even say that this is the view of some of the players, with concerns arising within the squad that everything is 'too tactical' under the Italian. It's not dissimilar to the situation ​Manchester United found themselves in towards the end of Jose Mourinho's tenure, and they have since thrived thanks to caretaker boss Ole Gunnar Solskjaer's back-to-basics approach.